"The family education begins here!" To decide upon a program, we first do an in-home evaluation of the dog, goals of the family and environmental influences on the situation. We talk about current behaviors, the origins of those behaviors as well as the course of action to achieve the desired goals. The family education begins here! This program requires the owner to teach the dog the language skills. 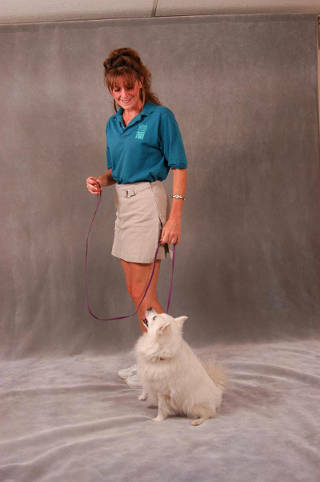 Your private trainer will teach you the techniques and skills required to teach your dog the commands. Once the skills are taught, your trainer will teach you how to use the commands in everyday life to develop a respect-based, lasting relationship. With this program, your dog receives two weeks of professional obedience training prior to the owner education portion of the program. During this training period, your dog stays at our modern facility and receives daily training, exercise and plenty of TLC. This training is done in a positive, cooperation-building style with the utmost respect for your dog, his personality and individual needs. The dog who has special training needs better addressed by a professional trainer. Those who want the clarity of professional training for their dog. Those whose schedules would inhibit a consistent teaching environment. 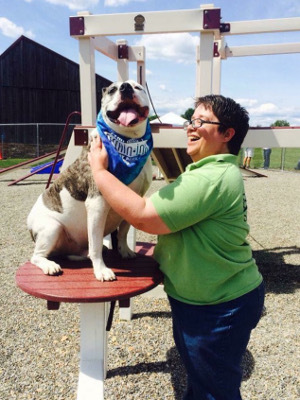 Since the success of this program depends on the owner’s relationship with their trained dog, this program includes in-home instruction regarding training technique and everyday use.